You hear a lot about “placebo effect” nowadays. Placebo refers to any medical treatment that is inert. The placebo has long been used in research trials to test the efficacy of a new health care treatment. Often, it is called as “dummy treatment”. The placebo effect is observable, and one can feel improvement in health not attributable to treatment. This effect is believed by many people to be due to the placebo itself in some mysterious way. When I was a young school student, our family was poor, and all my brothers were not able to buy shoes. 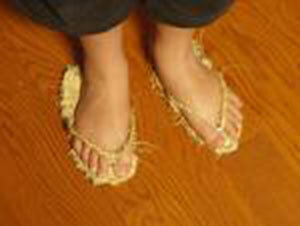 We had to weave rice straw sandals by ourselves to commute to school. 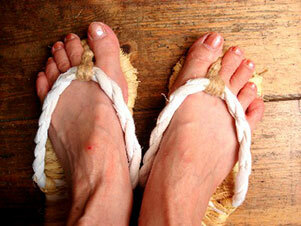 However, I had wart problems in my foot that hurts when scratched by the clog thong of the sandals. I tried to apply acid solutions as well as many other medical remedies, but the wart never disappeared from my foot for more than three years. One day, we had a trip to my mother's hometown. It was about 400 kilometers far from Osaka to Mount Koya, and during that time of WWII there were no trains or automobiles. We had to commute by walking on most of the ways. On the way along the mountain, we saw a statue of Jizo (Ksitigarbha), traditionally seen in Japan as the guardian deity of children. 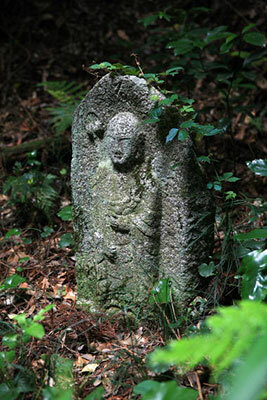 We have tens of thousands of Jizo statues in Japan, and they are commonly found especially by roadsides and in graveyards. Some of them are also known as Wart-Removing Jizo. History tells that once upon a time, a religious and hard-working man had a lot of warts on his body. 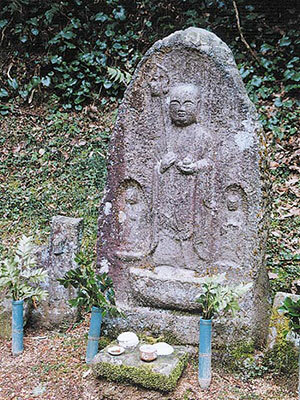 He prayed to the Jizo every day and night. One day, he dreamed that he should wash his body with water streaming beside Jizo, the guardian deity. He, of course, followed the instruction given by the deity. After three days, he noticed that his warts are disappearing one by one. The story spread all over Japan, and today, there are thousands of Wart-Removing Deity called Ibotori Jizo all over Japan. I myself tried to get blessed water from Jizo, then, miraculously, my wart was removed in just three days while I was with my grandparents in the deep mountain province of Mount Koya. 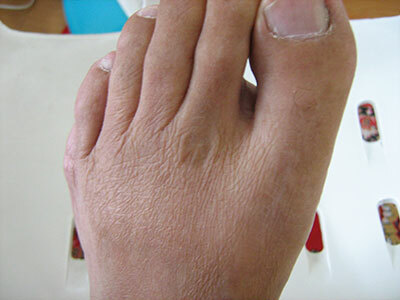 This is the foot of the author, Mr. Takano, with a scar of wart remaining in the middle just below the index toe. Even in this modern age in medical science, the above practice has remained widely in Japan. Scientifically, they say that it is really a placebo effect, but no one denies its miraculous phenomena. There are hundreds of techniques for placebo effect for various maladies. Talisman, charms, and magical words, are also considered placebo, and there is no scientific evidence to prove them. We could say that our brain wave may be controlled spiritually, and very often they are also effective mysteriously as healing tools. All medical practices have started from placebo, and many have recognized them as effective and genuine. Simple suggestions or kind words to children including to some adults are effective for the treatment of bed-wetting, allergies, asthma, metabolic syndrome, and even diabetes and kidney diseases, according to some data reported. Try anything by yourself, if it does not harm physically or mentally. It may be just like that of hypnotism and your sufferings may disappear miraculously and mysteriously.